3D Golf Capture Optical Crystal Tower Trophies. Available in 3 sizes, 205mm, 220mm and 245mm high. 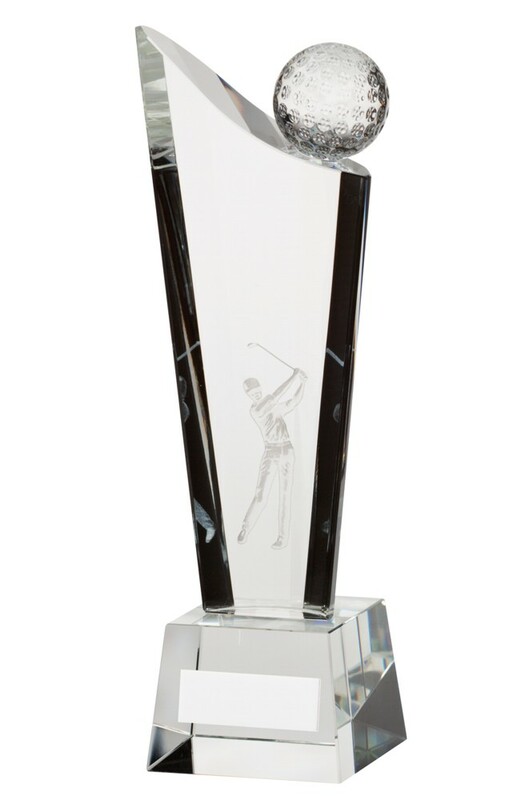 3D golf figure in the centre of the crystal riser with a 3D golf ball on the top of the award. Complete with an engraved plate attached and in a presentation box.